It will be the recession, the weak dollar, the crisis in the world economy, so much so that Google is pushing more and more on online advertising, specifically on revenues. So here's sponsored links that sprout everywhere even on Google Maps. 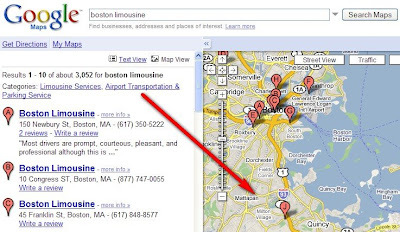 Look above: try for example to seek Hotel Rome on Google Maps and you'll notice under the geographical map of advertising links that advise companies and services, publishers who are affiliated with Google.